Beverly Lewis delves into the power of words, specifically letters, in her latest book, The Love Letters. Marlena is sent to her grandmother’s to help for the summer, after her grandfather passes away. It is hard for her to be away from her beau, Nat, but is eager to help in any way she an. The desire to help others is pushed to the limits over the course of the book and Marlena is faced with a choice – her beau or her family. Interwoven in Marlena’s story is that of Jake Bitner. He’s the son of the family living next the her grandma. Jake is a little small and slow for his age, but he has the biggest heart. His sensitivity is seen in his interaction with the gentleman that shows up in town without remembering all of his past, specifically where he is from. Boston carries letters in his satchel to try to help him remember something. Jake befriends Boston and vows to help in whatever way necessary. Beverly has done it again. She has created these dimensional characters and wonderful story world for the reader to dive into. I thoroughly enjoyed this book. 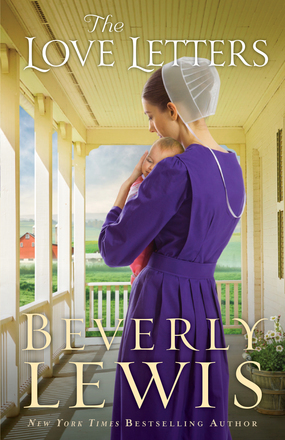 Whether you are a fan of Amish fiction or not, I would recommend you read this book. It will help you see the power of words.